Dram glass with bucket bowl, plain stem and thickened foot. The bowl engraved with dog tooth border and stars. Irish C1800. 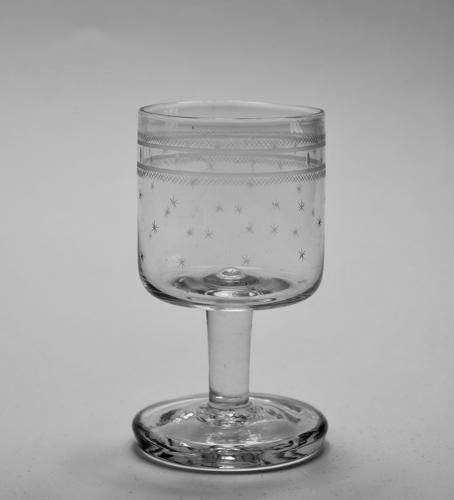 Note: This is a good example of a dram glass made in Cork Ireland around the 1800’s.